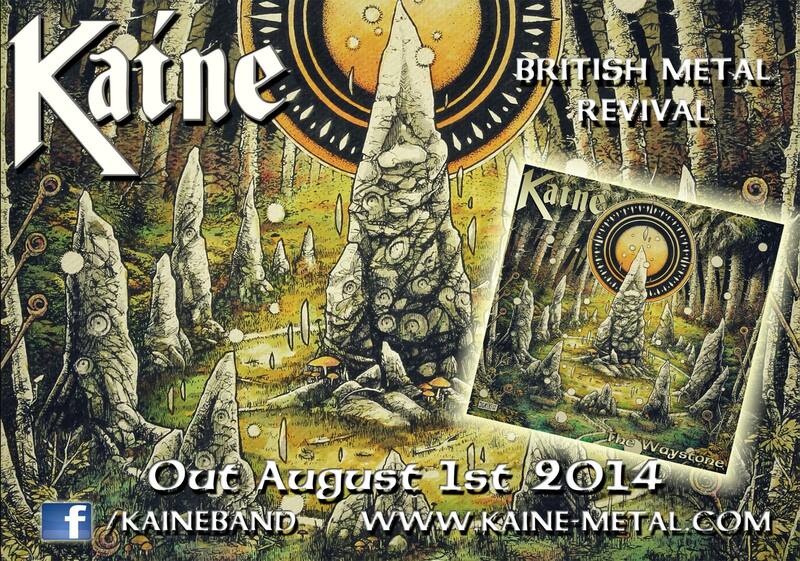 Kaine has been negotiating with a number of established European record labels over the past month and despite having firm offers the band has decided to decline these deals. This is due to a number of reasons ranging from the labels wanting a high % of merch sales taken at gigs, total control over digital income to little or no income on any records sold and for the lack of any real plan, investment or advantage over releasing our material ourselves. The band funded “The Waystone” entirely, to be essentially offered 50-100 free CDs to sell from these labels (we can produce our own CDs reasonably with Cram Duplication anyway) in return for the rights over our album with little or no % of sales offered to the band we didn’t believe these were fair or realistic offers. The album was a significant cost to the band and our objective is to break even on this cost, none of these offers would have allowed this to happen and would have resulted in a loss while essentially allowing them to make a small profit from our hard work. Our own CDs are selling well presently and we take 100% of the income minus a little for selling through bandcamp/CD Baby. We also retain 100% of our digital and merch income. This puts us in a very strong position moving forward. Kaine recently managed to negotiate a decent deal with a label in America which saw a fair % of return for sales and would have even lead to the album being released on vinyl, but this has also fallen through with them not being able to commit to their end of the agreement. We are very disappointed that this deal did not work out. The band has not been disheartened by this process, we have had bad experiences with labels in the past and are keen not to return to a loss making situation once more. As stated we are in a very strong position and while we may lack the investment to buy our way onto major festivals, supports and tours and into the established magazine we will continue to work hard, playing every show we can and try and buck the trend and be a success through hard work in what is a dying “Metal” industry. We will continue to be 100% honest about what’s happening with the band and the challenges we face within the “industry”.